Can you imagine I started in Oriflame from nothing in my hand. With just a moral support from my husband I became a consultant in Oriflame. I worked hard for 2 years and today I have my own Oriflame outlet in Mumbai. To be precise its my own Oriflame office where you can come and join Oriflame or get to buy the latest Oriflame catalogue or get coaching on how to grow the Oriflame business by bong in my team. Its so cool. You can come to my Oriflam office and see the latest catalogue and even learn from me how to earn 50,000 or more per month from Oriflame. Many people come to me to buy Oriflame products or to join Oriflame and become my life long friends. This is what I love about Oriflame. There are many Oriflame Consultants in Mumbai but one thing I do differently is that I keep things simple. The products are same. The compensation plan is same. But there are few secrets that I have learnt on my way to the top that I share with people in my team. I can tell you how to use the business tools to get a good start and maintain your growth momentum. Oriflame agents in Mumbai who making good money in my team have the habit of asking a lot of questions. I encourage you to ask questions too. If you like to work from home and make more money than a full time job, you are welcome to my office. Let me tell you there are no Oriflame outlets in Mumbai except for the RO. 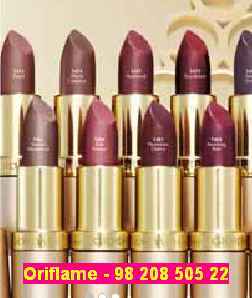 I am a Director in Oriflame and my own Oriflame office is in Kandivali, Mumbai. People come here to order Oriflame products or to join Oriflame because its free!! !